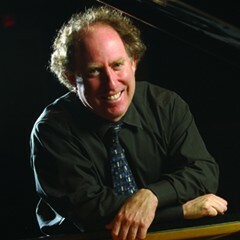 USC Thornton Keyboard Studies faculty Jeffrey Kahane boasts a celebrated career in piano and conducting, and part of his expertise is in doing both simultaneously. In a recent feature on the website of the Chicago Symphony Orchestra (CSO), Kahane mentions that dividing his attention between the piano and the orchestra requires tremendous skill, but it’s something that comes rather naturally to him at this point in his life. Kahane, who joined the USC Thornton faculty in 2015 as a professor in Keyboard Studies, mostly recently performed with the CSO in this dual capacity at the Ravinia Festival in 2016 where he conducted Gershwin’s Rhapsody in Blue from the keyboard.